Cashmere Convalescent Center is proud of it’s 59 year tradition of caring. Operated by the Dronen Family and a highly dedicated staff, our facility is located just outside the Early American city of Cashmere in Washington State. We can offer you, or your loved one a secure, therapeutic environment made possible by a caring and well-trained staff. 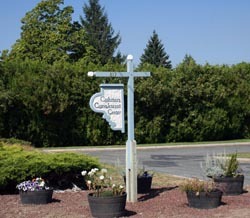 Our mission at Cashmere Convalescent Center is to provide a supportive, nurturing environment, honoring the uniqueness of each individual. Our success is measured by our collective commitment to the highest standards, which embody respect, honesty without waiver, genuine love and integrity.